The European Union currently gathers 28 Member States that have decided to pool some of their sovereignty in areas where it makes sense for them to work together at the European level. 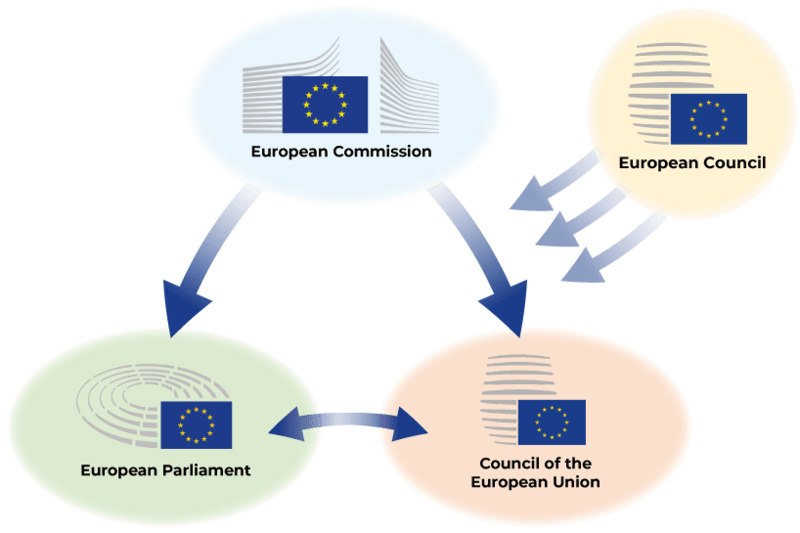 All the actions taken by the EU are based on the EU treaties (Treaty on European Union and Treaty on the Functioning of the EU) that lay down the objectives of the European Union, the rules for EU institutions, how decisions are made and the relationship between the EU and its Member States. The European Council defines the general political direction and priorities of the EU but it does not exercise legislative functions. The European Commission has the right of initiative meaning it proposes new legislation. These laws are then negotiated and adopted by the European Parliament and the Council of the EU. Once a piece of legislation is adopted at the European level, it is either directly applicable and binding in all Member States (regulation) or must, in time, be transposed into national law by each Member State (directives). Recommendations and opinions with no binding force can also be adopted. The Multiannual Financial Framework (MFF) translates the political priorities of the EU and provides stability by planning the EU budget for at least five, and in practice seven, years. It sets maximum annual limits of EU expenditure (ceilings) in several policy areas. Proposed by the European Commission, the regulation laying down the agreed upon MFF must be adopted by the Council by unanimity after obtaining the consent of the European Parliament. The annual budget is then adopted every year by the Council (Member States) and the European Parliament following a proposal made by the European Commission. This budget is adopted within the limits set out in the MFF. The current MFF covers the 2014-2020 period and sets the total level of funding at €1,087 billion which equates to 1.03% of the EU-28 Gross National Income (GNI). 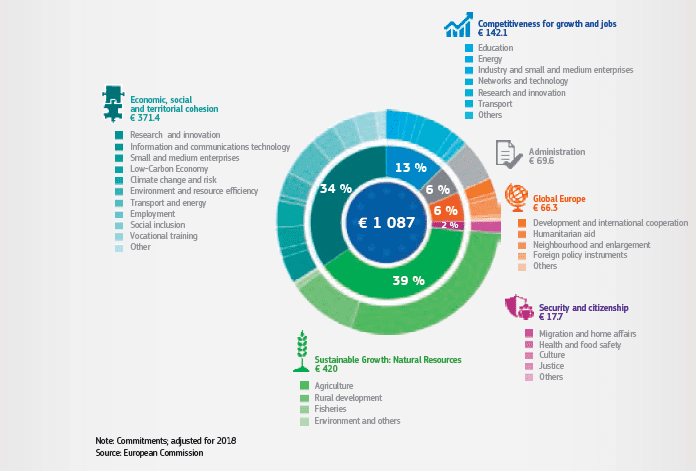 The European budget is mostly an investment budget, used to fund policies and projects that bring European added-value [see Funding and Financing section]. Customs duties on imports from outside the EU and sugar levies. A share of value added tax (VAT) receipts: a uniform rate of 0.3 % is levied on the harmonised VAT base of each Member State.